Great Scenic Railway Journeys is an Emmy-award winning PBS television series that profiles some of the world’s most historic and scenic tourist railways. I have been hosting the show since 2004 for producer Rob Van Camp. Fire on the Mountain was a bluegrass and old-time music show I hosted for the Nashville Network (TNN). We recorded 95 half hour shows. 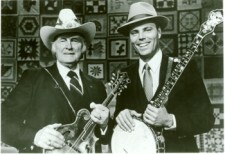 Taped at the Stompin’ Ground concert hall in Maggie Valley, NC, the show became one of the most popular on TNN and remains today as the most complete recorded archive on traditional music in the 1980s. Unfortunately when Gaylord Broadcasting sold TNN to CBS the tapes were stored away. There are many postings on youtube where you can see some of these historic shows. 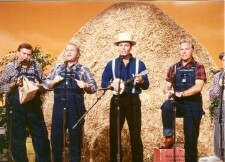 I was asked to be on Hee Haw after my appearance on the Grand Ole Opry in 1980. At first producer Sam Lovullo hired me as an occasional guest. Around 1984 I became a “regular guest” and my job was to open the second half of the show with a rousing old-time song the entire cast could sing as well as be part of the four banjo players and four harmonica players segments. I loved being on the show and working with some of my heroes. The Nashville Network tapped me to host an “on the road” series traveling to 79 different major cities in America to cover a creative individual in each place. It was an amazing way to get a snap shot of what was going on in the country. I had always admired Charles Kuralt and the Celebration Express gave me a rare opportunity to travel the entire United States in a period of two years. 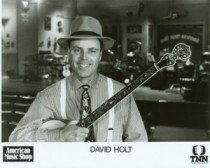 Hosting the Nashville Network’s “American Music Shop” for two seasons was great fun. The show featured a wide range of musicians including: Earl Scruggs, Waylon Jennings, Delbert McClinton, Gatemouth Brown, Bruce Hornsby, Albert Lee, Larry Carlton, Kathy Mattea and Lee Roy Parnell. The house band was the greatest: Mark O’Connor, Jerry Douglas, Harry Stinson, Brent Rowan, Glen Worf and Matt Rollins.